Finally......... A clear and concise book that offers hope for making it in this insane world. Our dietary choices are one of the most powerful things we can do that have an immediate and direct effect on our selves and the world we live in. Don't buy the corporate media hype, get this book and get the TRUTH! 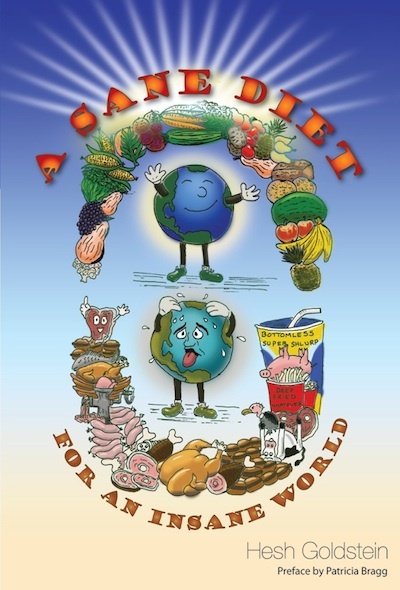 "A Sane Diet For An Insane World is a provocative read, guaranteed both to challenge and guide you. If you heed this book you will be grateful, because your mind will stretch and your body will thank you for the rest of your life." “Hesh Goldstein is truly one of the few sane authors in an insane world, and his book is remarkable, not only because it's incredibly well researched but also because it's delivered with a voice of courage and determination." "I dedicate this book to the millions of suffering people who are clueless about the healing effects of a sane diet." - Hesh.